Would you like to see my man sack? 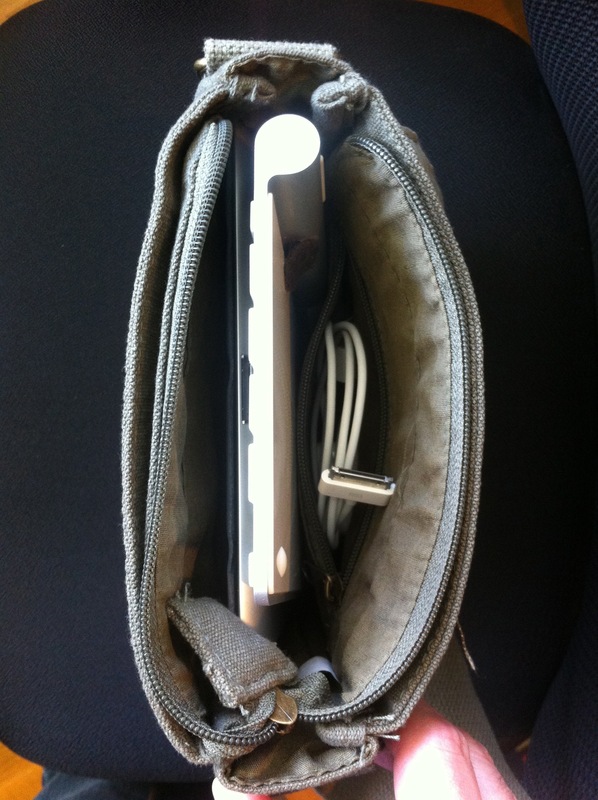 Looking for a cheap solution for carrying around your iPad and an Apple Wireless Keyboard? I was. But no longer. Tall enough to hold the Apple Wireless Keyboard. Bags designed specifically for the iPad seem to be almost exclusively too small to hold a full-sized Bluetooth keyboard. Not too big. All I really want to carry is the iPad and the keyboard, not a litter of kittens. I mean, I sold all those kittens at the swap meet under the freeway. Why would I need a bag big enough to carry them now? Ideally less than $100. Which is how much I made on those kittens. Wouldn’t make me look like a tremendous, comically foppish dandy. I only want to look a little bit like a dandy. Fopism went out in the 1700s. 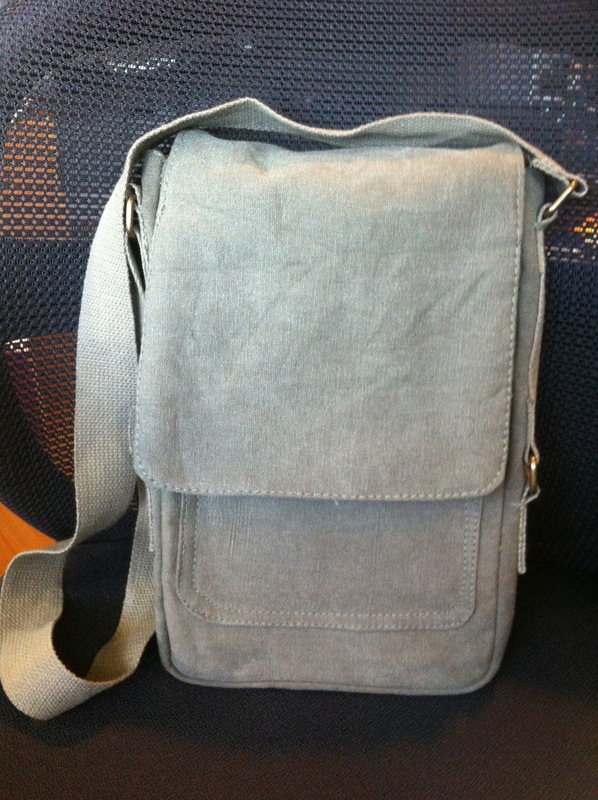 After I decided none of the bags Macworld reviewed was for me, I took to trolling the web for Army-style shoulder bags, partly because that seemed the easiest way around the dandy issue. Oh, I’m sorry, are you calling the Greatest Generation a bunch of dandies? No, I didn’t think so. Eventually I found the Rothco Vintage Canvas Military Tech Bag which, I was amused to notice, has actually been renamed to the “Vintage Canvas iPad Bag” in the two weeks since I bought it. I guess there weren’t that many people putting Blackberry Playbooks in them. Also, going with the military theme, Blackberry Playbook users seem like the kind that would get fragged by their own men, so maybe they wanted to make it clear that wasn’t a target demographic. I’m going to cut to the chase about the key selling point of this bag: it’s sixteen dollars. That’s right. It’s a tenth the cost of some of the bags on Macworld’s list. Is it perfect? Nooo. Not by a long shot. But let me run the key point by you again. OK, I know that we as Apple customers are supposed to be a more refined lot who like things that are well-made and have ease of use and a superior user experience and feel like a walk in the sun. But I frankly take my iPad and the keyboard out a couple of times a week. I wanted a bag that would fit the iPad and the Apple Wireless Keyboard that wasn’t fancy and didn’t cost a lot. As far as looks go, this bag looks about as tough as a shoulder bag holding a dainty electronic device can. It’s available in olive (pictured), black for night missions and khaki for desert warfare. The bag has one main compartment that’s sealed at the top by a zipper and has a fold-over cover that’s held in place by a rather small piece of Velcro. There’s a zippered internal pocket in the main compartment for a power adapter, deck of vintage dirty playing cards, severed ear, what have you. The bag is padded but not a lot. If you don’t have your iPad in a cover that protects the corners, I wouldn’t drop it. Or invade Normandy with it. Oh, and see that tab at the bottom on the inside? It seems like the cloth lip that the zipper is sewn to inside the main compartment should have been sewn in on one end but it wasn’t. I give this bag three and a half yachts out of five.